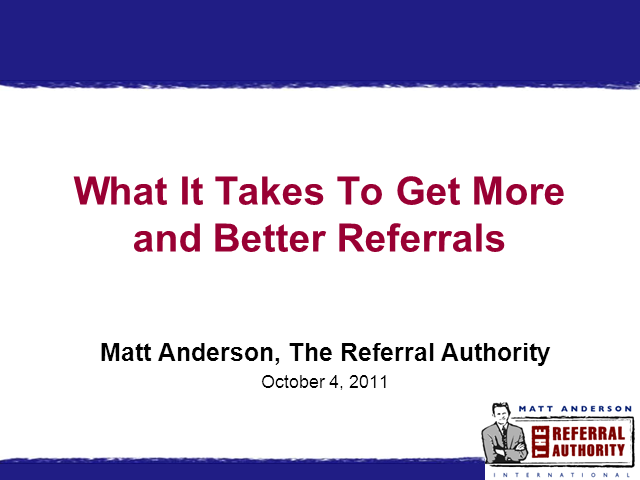 Everybody loves referrals. It’s often free marketing from people who know, like and trust you to others like them. Yet if they were easy to come by, everybody would be thriving off them. So what’s your missing piece? This webcast will cover the nine areas you need to be aware of and suggest action you can take right away to generate more of what you love.